Nature walks with the kids in the fall is so much fun. Inevitably you end up with a handful of leaves, pine cones, and other goodies that were just perfect. 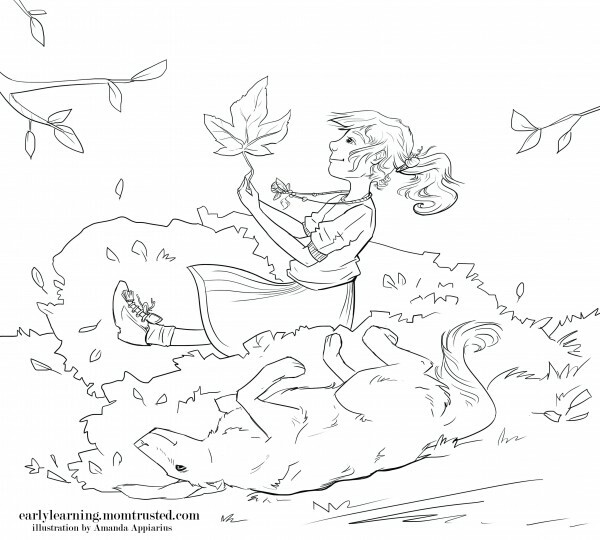 This coloring page really embodies the feeling of being outside, fall time, and finding the perfect leaf. Click to download the free printable coloring page. This beautiful illustration was made by Amanda Appiarius.